Join Barnard Griffin, Monday, October 24th to help fight against breast cancer. Live raffles, wine specials, hors d’oeuvres jewelry and more! Bring your Mothers, Daughters, Sisters, Aunts, Cousins, Friends and Yourself to Barnard Griffin’s 2nd Annual THINK PINK! night. Raffles will take place throughout the evening. Prizes include a fused glass piece from Deborah Barnard’s db Studio & gallery, artisan pottery, salon gift certidicates, Barnard Griffin wine and much more! 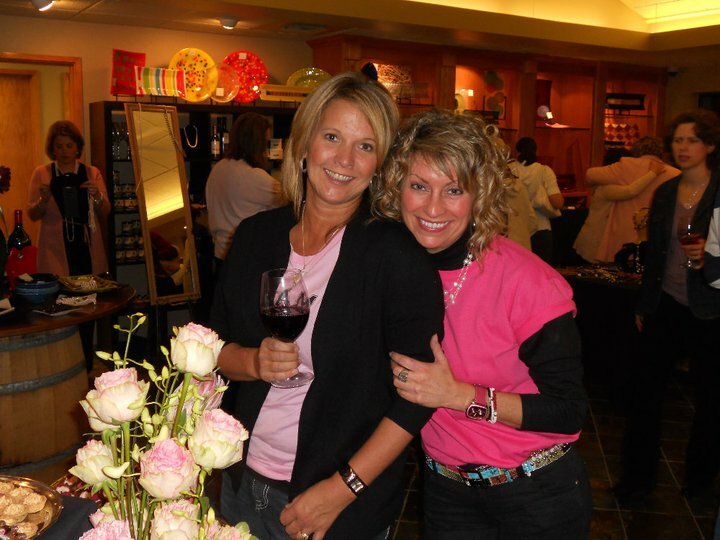 A portion of the night’s proceeds will benefit breast cancer research through the American Cancer Society. What a great way to have fun and contribute to a great cause at the same time. Must be 21 or older to participate. Does the shape of the glass matter? Is there a true enhancement of the experience? Do I really need a different glass for a Cabernet than a Fume Blanc? Join other wine enthusiasts for an exclusive Riedel Expert Tasting Seminar at Barnard Griffin on Thursday, October 13th to get answers these questions and more. Riedel is the world’s foremost expert in glassware. Enjoy wines in glasses that are shaped to complement each specific wine varietal. Bonus: You get to keep the 4 Riedel glasses you use! It will be a wonderful night of wine and learning at Barnard Griffin. Experience the difference a glass makes!